There are countless retail Halloween costumes that you can purchase for your Halloween party, but why not make your own instead? With a few supplies and a bit of creativity, you can come up with something that no one else at the party will likely be wearing. Here are a few of my favorite ideas for adult DIY Halloween costumes. This cute idea is fashioned after a Gothic American painting. The only thing hard about it is holding the darn frame all evening! See how to make this cute costume at Coolest Handmade Costumes. This one appeals to the gardener in me. She is all dressed up like a flower pot! 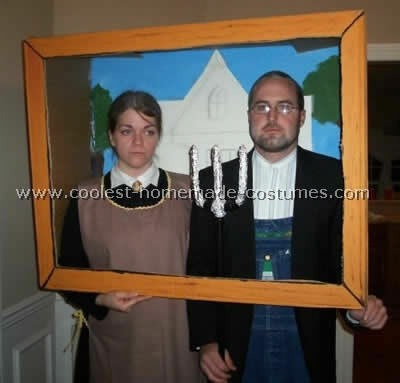 Image source: Coolest Handmade Costumes. 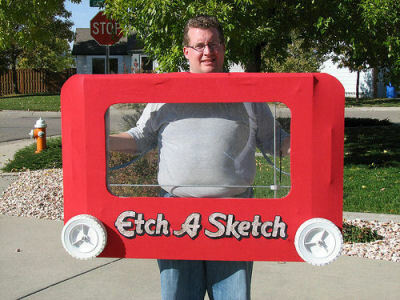 Did you love the Etch a Sketch as a kid? Then this costume will appeal to you for sure. See the tutorial over at Intructables.